Tennis elbow can often be extremely painful and debilitating but in most people will spontaneously settle in 3-18 months. In recent years is has become the norm for people be given injections but improvements are often short lived and in some can elongate the healing process. So what is tennis elbow and how should we treat it? 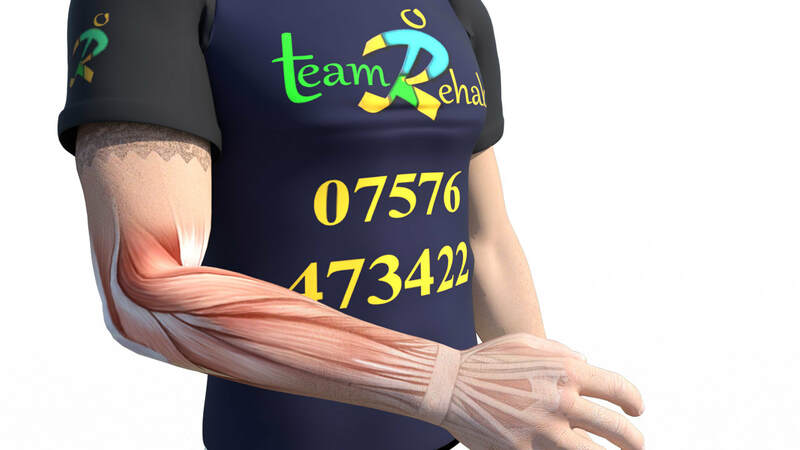 ​Tennis elbow or lateral elbow tendinopathy causes pain around the outside of the elbow. It occurs with strenuous overuse of the muscles and tendons of the forearm that attach to the outside of your elbow. If muscles and tendons are strained, you can get tiny tears in the muscles and inflammation. The pain and discomfort caused by this condition can stop you from working or taking part in the activities you love to do. You may experience pain on the outside of your upper forearm, just below the elbow when lifting or bending your arm, gripping objects such as a pen or with activities that involve twisting your forearm such as opening a jar or playing tennis! The extensors of the forearm connect to the lateral epicondyle, a bony prominence that you can easily feel on the outside of your elbow. ​Tennis Elbow affects approximately 1-3% of the general population, and for many patient’s it is often a self-limiting condition. Leaving things to their own devices can see a significant reduction in pain within a year of onset (although not always complete resolution). However, a large majority of patients are left with prolonged discomfort and pain that needs a little help to get better. Is My Elbow Pain Tennis Elbow? There may also be some underlying degenerative changes in the muscles and joints. Sometimes problems with the neck, shoulder and upper back can also be contributing to your elbow pain. The muscles of the forearm also run very closely to the nerves and in particular the radial nerve and posterior interosseous nerve. Depending on what your individual problems are your physiotherapist will devise a personalised treatment plan to help resolve your elbow pain. How Can Physio Help Tennis Elbow? Research has shown that tendon pathology can vary greatly from patient to patient and the type of tennis elbow you have may affect the type of treatment that is recommended for you. Tennis elbow can be classed as a reactive tendonopathy or degenerative tendonopathy (or even somewhere in between). Reactive tendonopathy commonly occurs in people who have increased their activity and treatment may require modifying the load and pressure you are putting through your arm and allowing the tendon to recover. Your Physiotherapist may use several treatment options to achieve this. Degenerative tendonopathy in contrast may need specific loading exercises to help it recover. There is conflicting evidence on the use of anti-inflammatories, and it may be more appropriate for people with reactive, than degenerative tendonopathy. There is strong evidence that cortico-steroid medication (injections) may provide short term relief but is associated with worse outcomes at 6 and 12 months when compared to other forms of treatment. It is now no longer recommended as the first line of treatment for tennis elbow. Your GP may also recommend neuropathic medication (aimed at relieving nerve related pain) depending on the nature and severity of your symptoms.